Professional 3D IGS Viewer to import and read *.igs file format. 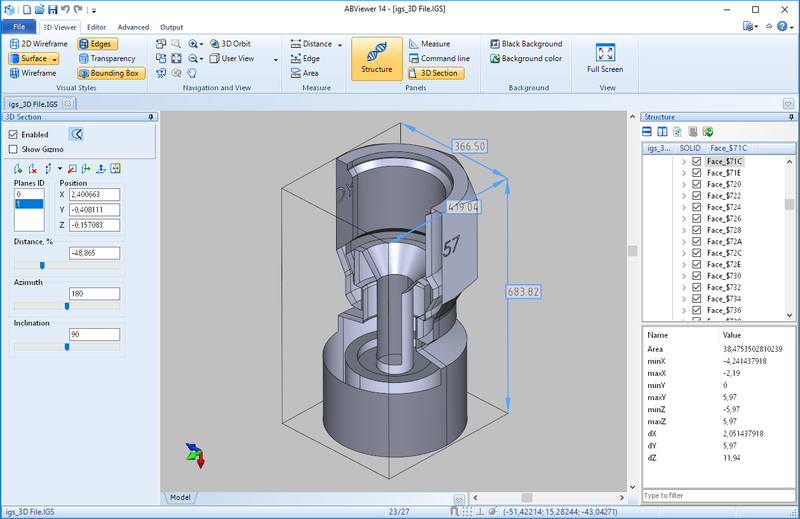 3D IGS Viewer can print and convert IGES to DWG and other formats. 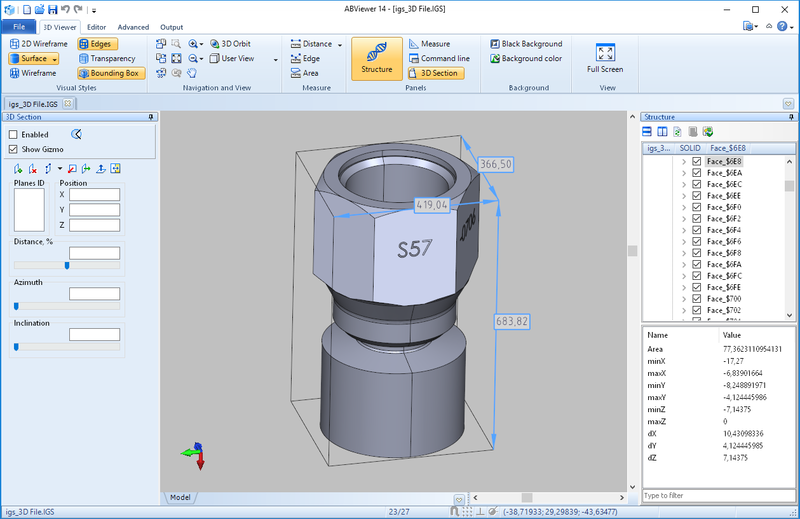 IGS Viewer allows converting IGS to DWG, IGS to STL, IGS to OBJ and to other file formats. IGES - The Initial Graphics Exchange Specification defines a neutral data format that allows the digital exchange of information among Computer-aided design (CAD) systems. How to uninstall IGS Viewer? ABViewer, an IGS Viewer, has a built-in deinstallation tool. To deinstall ABViewer choose the ABViewer folder (on default it is called CADSoftTools ABViewer 14) in the Start menu and click Uninstall ABViewer. Follow the steps of the standard Uninstall tool.